Hall of the Mountain King: Review: Coal Chamber, "Dark Days"
Coal Chamber's self-titled 1997 debut put them on the front lines of the first wave of the music that has come to be known as nu-metal. The percussive sounds and grunting vocals were just beginning to catch on - and here was a band that nailed the vibe so many others were going for. Their 1999 release "Chamber Music," though it did contain an interesting cover of Peter Gabriel's "Shock the Monkey" featuring Ozzy Osbourne, didn't really break from the sound. Now, the band has unleashed its third studio album, "Dark Days." Again, not much has changed. Though they've continued to build on it in small ways, the music is basically the same as it has been for the past five years. On this record, the band showcases both the best and worst that nu-metal has to offer. 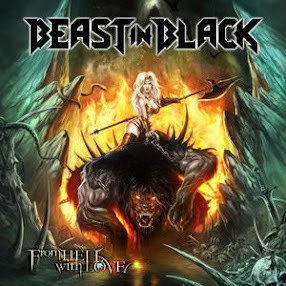 It gets off to a promising start with the first single "Fiend." This song is as good as anything happening in any kind of metal today. It's a heavy tune, laced with catchy hooks - a song that makes you want to pump your fist in the air and sing along at the top of your lungs. "Glow" keeps things going in the right direction. It's another catchy song with a chorus that gets stuck in your head - and some interesting background sounds into the mix. The rest of the album follows through with solid guitar riffs and hummable melodies. So what's the problem? The same one that plagues so much of nu-metal. An awful lot of it sounds the same. For every standout song like "Watershed" and every dark melody like the title track, there's another tune that makes the listener say, "I've heard this a dozen times before." After a very strong start, the last half of "Dark Days" tends to run together in your head. There are interesting bits and pieces in many of the songs - like the Primus-like sounds in "Alienate Me" - but for the most part, they begin to sound the same after a while. Tunes like "One Step" and "Drove," while not bad, sound like any of a dozen or more bands that are playing the same style of music. 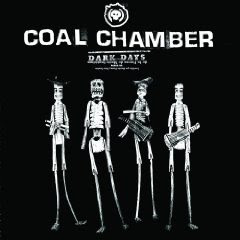 On much of "Dark Days," there's nothing that distinguishes Coal Chamber from the rest of the pack. That said, the album isn't bad. The songs are solid and there are moments where the band really shines. But at the same time, there's nothing about this record that will wow the listener. It's basically a workhorse album - serviceable, but not very flashy. While "Dark Days" shows that nu-metal does have the potential to be good metal, it also leaves part of me longing for the days of "old" metal - the days when you could tell bands apart without having to check the CD label.